I really have to wonder about the psychology of a person who would market himself with such fiery images, when he has so recently "arisen" from a prison term for cooking three people to death. We teach the Power of Forgiveness and opening the space for Spiritual Realization. As Spiritual Beings we are not here to judge each other but to Heal each other. 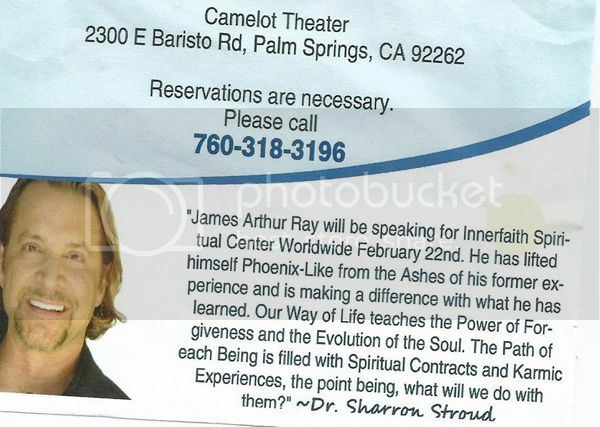 While I can admire the lofty goal of compassion and forgiveness, even for a convicted killer like Ray, the level of obtuseness that went into the planning and marketing of this event defies reason and decency. 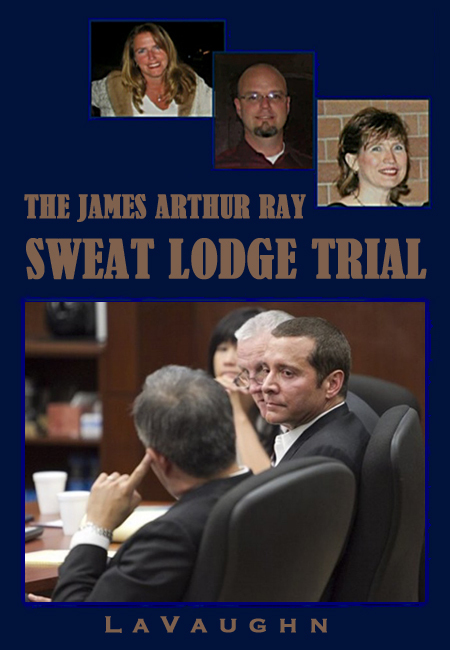 If Ray had ever shown real self-awareness and genuine remorse for his crimes, it would be one thing. Instead, he remains awash in self-pity and unleashes one tone-deaf emanation of vapid cruelty after another. 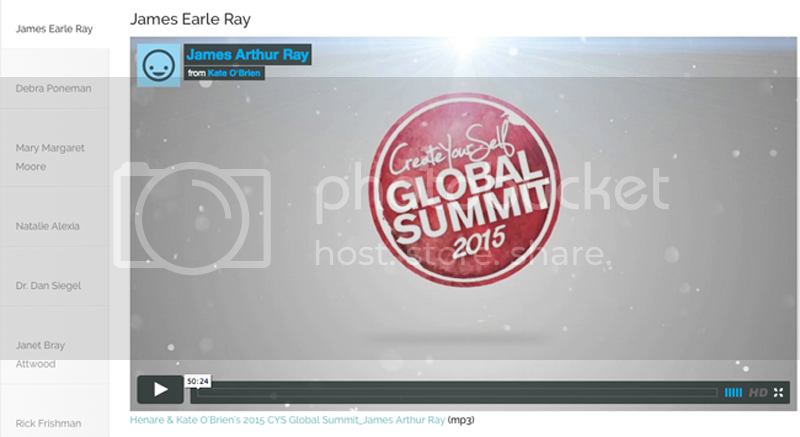 Ray has also been sharing his pearls of inspirational wisdom as part of the Create Your Self Global Summit. Well, he certainly has created a lot of selves. It also looks like he has created a marketing campaign for himself as the victim of this horrible tragedy – one he created himself by ignoring one warning after another over several years about making his sweat lodges too bloody hot. I don't know who wrote this copy, Ray or Henare and Kate O'Brien, but it's ghastly. 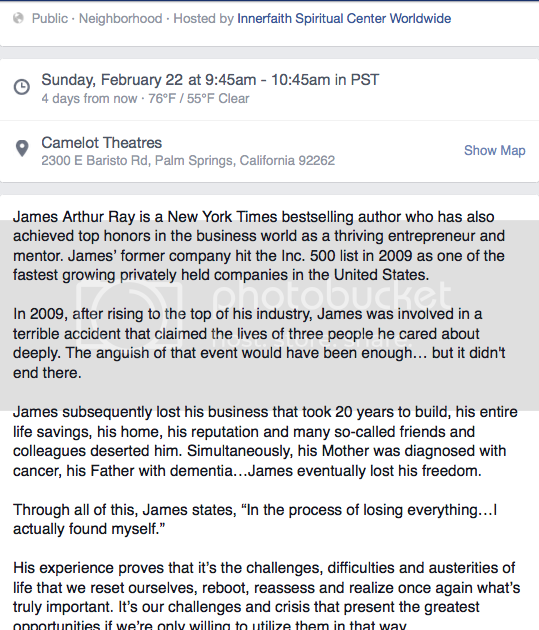 In 2009, after rising to the top of his industry, James was involved in a terrible accident that claimed the lives of three people he cared about deeply. The anguish of that event would have been enough… but it didn’t end there. 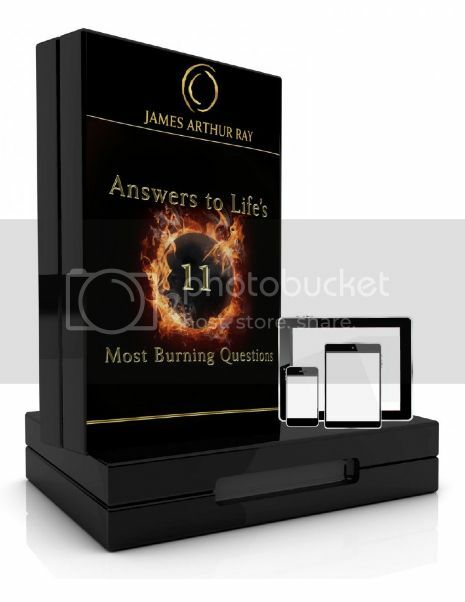 James subsequently lost his business that took 20 years to build, his entire life savings, his home, his reputation and many so-called friends and colleagues deserted him. Simultaneously, his Mother was diagnosed with cancer, his Father with dementia… James eventually lost his freedom. Lost his freedom... yes it was a horrible injustice that he was convicted by a jury of his peers and went to prison for taking three lives. There are some good people in this line-up, to be sure, but it's a gallery with a fair share of rogues. I can't help noticing that Teal Bosworth Scott Swan has also put in an appearance. It's no wonder they're giving it away at bargain basement prices. But if this little Freudian slip is any indication, they might have some awareness of just what they're putting out there. Yeah, it is kind of funny how much his name sounds like Martin Luther King's assassin. Hen and Kate can apparently only be contacted through this form on their website. Whether or not they can be reached is an open question. 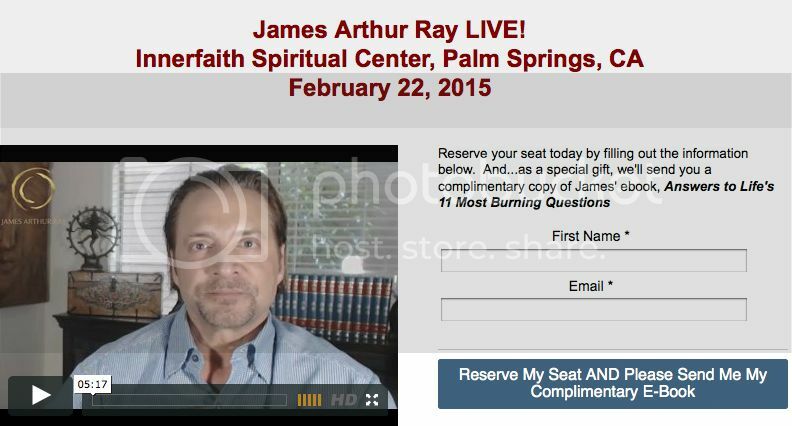 UPDATE: I was doing a little more googling and I stumbled on the the Facebook page for Ray's upcoming appearance for the Innerfaith Spiritual Center, the one they're calling "Forgiving and Awakening with James Arthur Ray." I couldn't help noticing that they have also posted that awful copy I noted above. This answers the question about the origin of the text. It obviously comes from Ray, so that's pretty horrifying. Let's be clear. Ray didn't lose three friends in a "terrible accident." He killed three friends through his own criminal negligence, for which he was convicted and went to jail, thus temporarily losing his freedom. Honestly, he really is like the kid who kills his parents and then wants everyone's pity because he's an orphan.